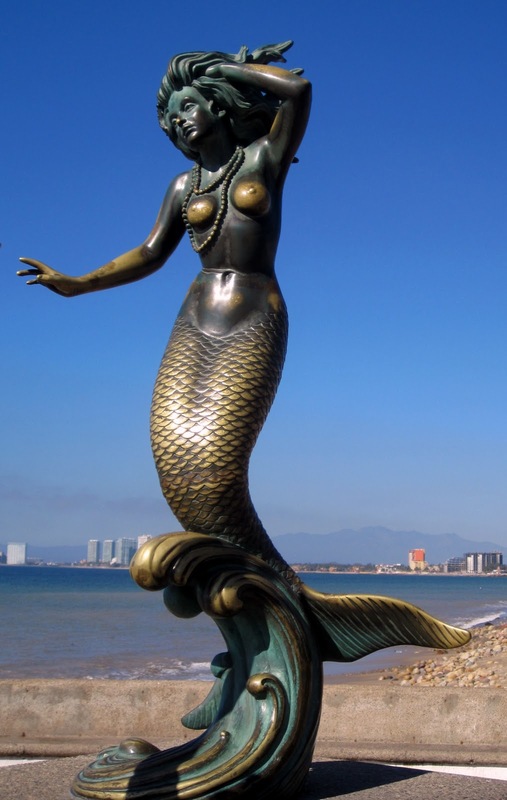 Nereida mermaid statue is part of the Triton and Nereida sculpture. 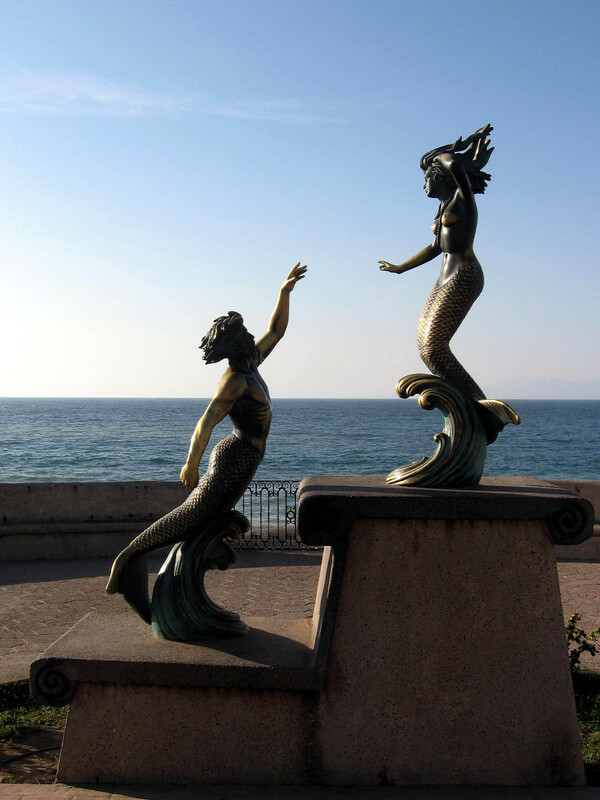 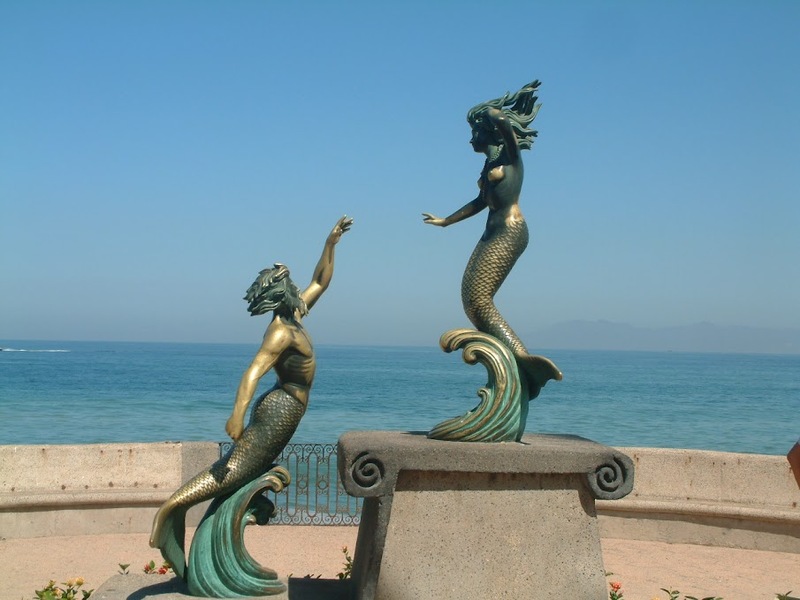 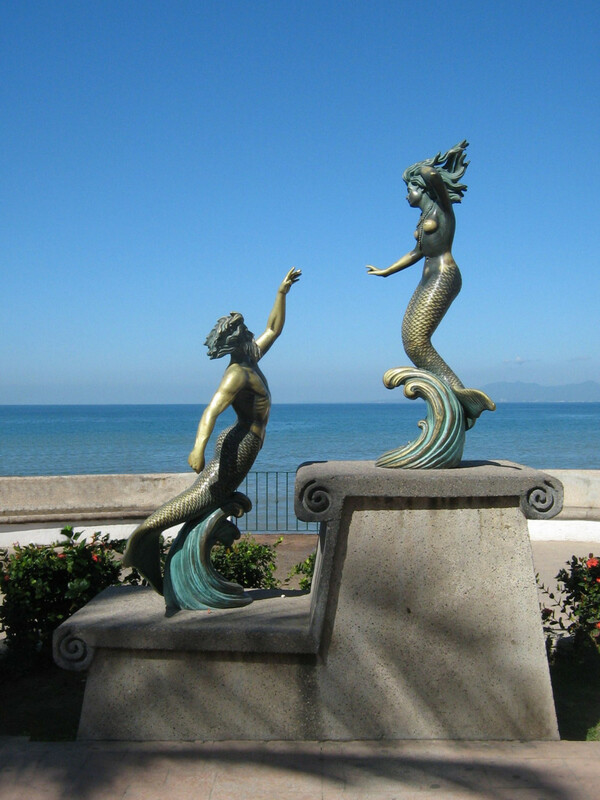 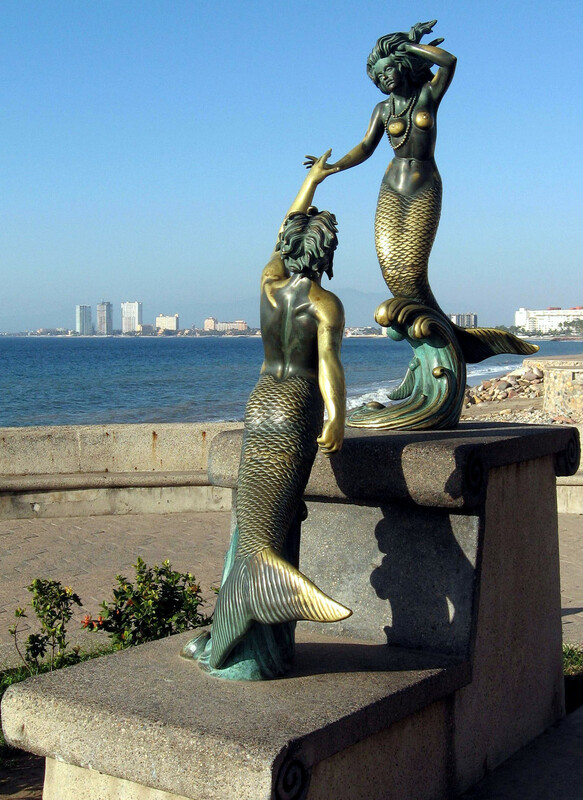 The mermaid statue and triton sculpture were installed here on the Malecón of Puerto Vallarta in 1990. 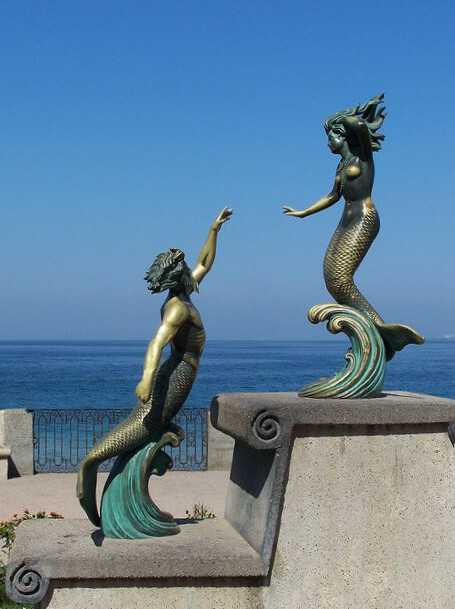 At one point, Triton was holding a trident in his right hand, but it is missing in most photographs of this sculpture, and it is not known where it went. 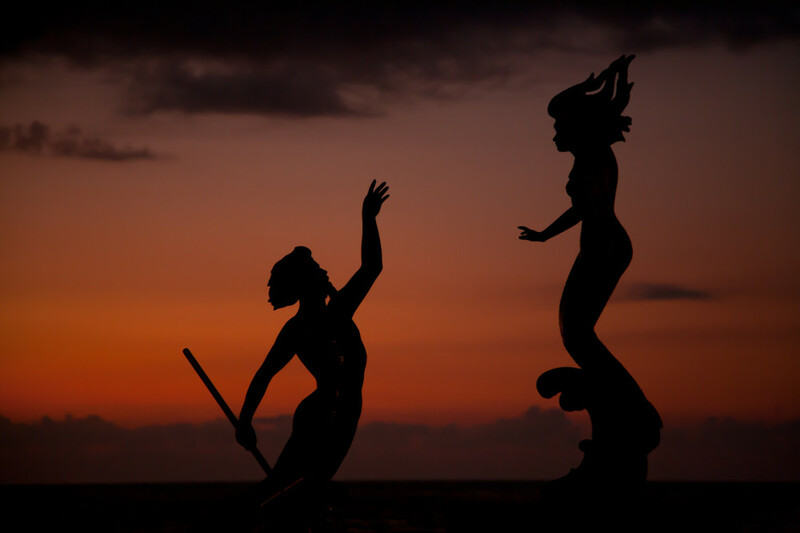 Triton & Nereida at dusk. 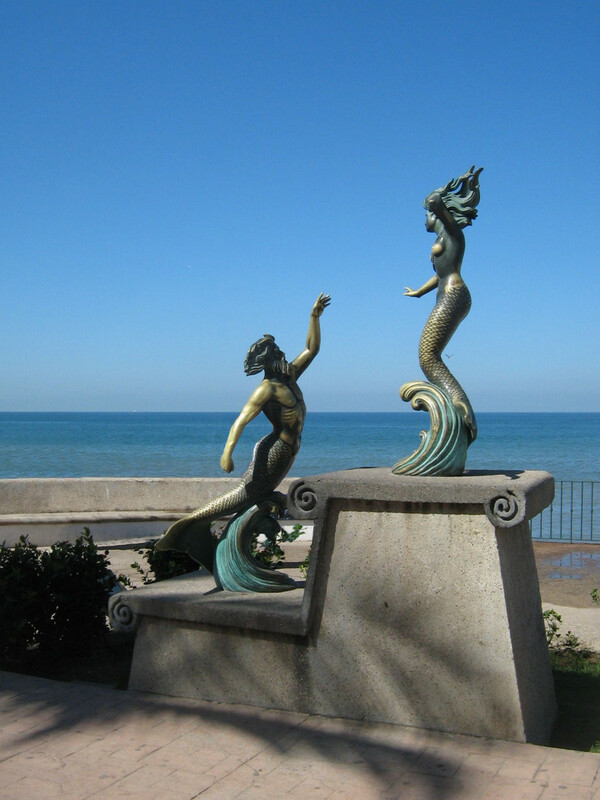 Photo by Joe Stylos.